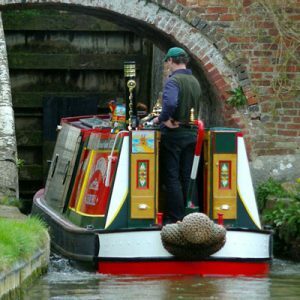 Explore Oxford Tours has a network of guides who can offer tours of the ‘Heart of England’ from Birmingham. The Heart of England includes the counties of Oxfordshire, Warwickshire, Gloucestershire, Herefordshire, Shropshire, Worcestershire, Staffordshire and the West Midlands. Each of these counties is steeped in history with historical markets towns, quaint villages, iconic churches, cathedrals, majestic castles and country estates. 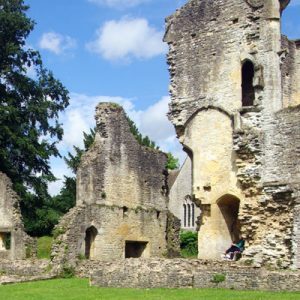 As well as seeing the best of the English countryside, you can explore those areas which played a key role in both the Roman Occupation and the birth of the Industrial Revolution in Britain. Our tours can be done using your own coach and one of our knowledgeable guides or we can supply a coach and a guide. 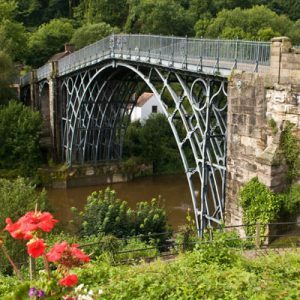 A delightful drive from Birmingham through charming villages with half-timbered houses to the quaint town of Ironbridge. Said to be the birthplace of the Industrial Revolution, Ironbridge is a Unesco World Heritage site and has much to offer the visitor. Walk across the River Severn over the world’s first iron bridge built in 1779, browse among the little shops and cafes or visit one of the award-winning museums, which trace Ironbridge’s development during the Industrial Revolution of the 18th and 19th century. After leaving Ironbridge Gorge, another scenic drive takes you to the Tudor town of Shrewsbury with its fine black and white half-timbered houses. On the return journey to Birmingham you pass through the idyllic town of Much Wenlock, said to be the birthplace of the modern Olympics. You will then stop in Bridgnorth, divided by the River Severn into High Town and Low Town, the two being linked by a Victorian funicular railway. Enjoy the atmosphere of this bustling town or perhaps watch a steam train on the famous Severn Valley Railway, puffing into the railway terminus. Spend a day basking in Britain’s Medieval history by taking a tour to Stratford-upon-Avon and Warwick. A short drive from Birmingham will lead us to the charming town of Warwick. You will have time to walk around the town, with its charming timber-framed houses and visit Warwick Castle if you wish. This is one of the most fascinating historic castles in Britain and was the home of the Earls of Warwick for many centuries. 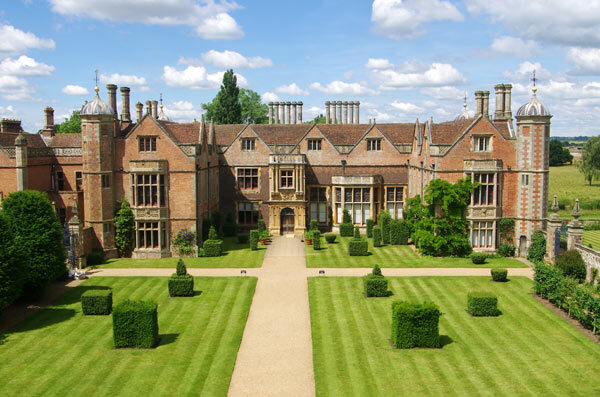 We leave Warwick and head to Stratford, passing by the beautiful Charlecote Park country estate. 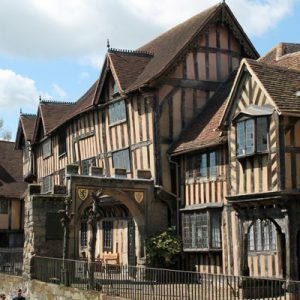 In Stratford you will be taken on a guided walk through Shakespeare’s home town, visiting the Shakespeare Houses, the Holy Trinity Church, where the ‘bard’ is buried and the Shakespeare Theatres on the banks of the picturesque River Avon. 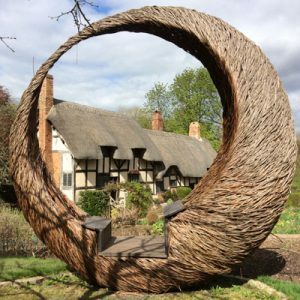 Your ‘Shakespeare Experience’ finishes with a drive through the charming village of Shottery to see Anne Hathaway’s cottage. From Stratford we drive into the Cotswolds. This is a designated Area of Outstanding Natural Beauty, peppered with idyllic small villages with quaint cottages and thatched roofs. You will visit some enchanting stone villages, as well as the beautiful towns of Chipping Campden and Broadway, before returning to Birmingham. A visit to the Medieval university city of Oxford is a must for any visitor to Britain. Often called the “City of dreaming spires” Oxford has over 1000 years of history. Here, the oldest university in Britain has educated some of the world’s greatest leaders, scientists, philosophers, writers and actors. Your drive to Oxford takes you through some charming Warwickshire villages and the Vale of Evesham to the enchanting town of Broadway, which inspired so many artists and writers. You then continue via the delightful village of Snowshill, with its stone cottages and lavender fields to Stow-on-the-Wold, the highest town in the Cotswolds. From Stow we head to Bourton-on-the-Water, the Venice of the Cotswolds, with its pretty River Windrush and 17th century stone bridges. Our journey then takes us to the quaint town of Burford, before heading to Oxford. In Oxford, you will be taken on a guided walking tour of the University and its colleges and have time for shopping, before returning to Birmingham, via the bustling market town of Banbury. “Black by day and red by night” is how the Black Country was described by Elihu Burritt, the American Consul to Birmingham in 1868. Discover the rich history of the Industrial Revolution in the West Midlands. A short drive from Birmingham will take you to the Black Country, a landscape once rich in resources such as coal and ironstone and where considerable productivity took place in the 19th century. Goods such as nails, chain and anchors, anvils, crystal glass, tubes and pots and pans were made here and exported all over the world. It is also where Matthew Boulton and James Watt started making steam engines at their Soho Foundry in Smethwick. 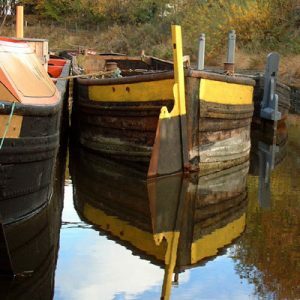 Your tour includes a visit to the fascinating Black Country Living Museum in Dudley, where you can see industrial and public buildings, shops, houses, outbuildings and workshops. The buildings are arranged to create an authentic Black Country landscape. Take a fascinating walk through the centre of Birmingham with one of our specialist guides and learn about Birmingham’s development from a bustling market town to a major industrial centre, famous for its metalworking industry. Your tour begins by the famous statue of Lord Nelson in the newly regenerated Bull Ring area, with its impressive new shopping complexes. You then visit St Philip’s Place, with the 18th century St Philip’s Cathedral, the sophisticated Regency area of Colmore Row, Victoria Square with its splendid Victorian buildings, Chamberlain Square and ‘Big Brum’ and the regenerated canal area, with its fashionable restaurants and exhibitions centres. Your tour ends in Centenary Square, where you will see the iconic new library building and Repertory Theatre. £10 supplement for a tour in a foreign language. A tour for those with a sweet tooth! This six-hour tour takes you on a panoramic tour of Birmingham, including the fashionable Regency area of Colmore Row and St Philip’s Place, Victoria Square with its impressive Victorian Council House and Town Hall, the newly regenerated Centenary Square with its statue of the ‘Lunar Men’ and the iconic new library building and International Convention Centre. We then head out of the city centre to the charming suburb of Edgbaston, home of the famous Warwickshire Country Cricket Club and host to many major international cricket tournaments. We will also pass the University of Birmingham campus before arriving in Bournville. The village of Bournville was created by the philanthropic Cadbury family to provide their workers with homes. On Bournville village green you can see two of Birmingham’s oldest buildings, Selly Manor and Minworth Greaves, dating back over 700 years. 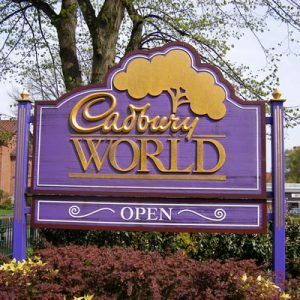 Top off your day with a visit to Cadbury World, where you can hear about the story of Cadbury’s chocolate and how it developed. You can see the chocolate being made and even have a taste. A real ‘Charlie and the Chocolate Factory’ experience. If you don’t see a combination you like here, we can design a tailor-made tour for you. Also consider a Tour of the Cotswolds with Cotswold Exploring!